Beginning in the 2018 – 2019 season, players in the Novice age category (7-8 yrs) will play on a half-ice surface for the duration of the season. This builds on the introduction to Hockey Manitoba’s Novice half-ice program developed in 2017 – 2018, with modifications to improve engagement, development and the overall experience for our young players. 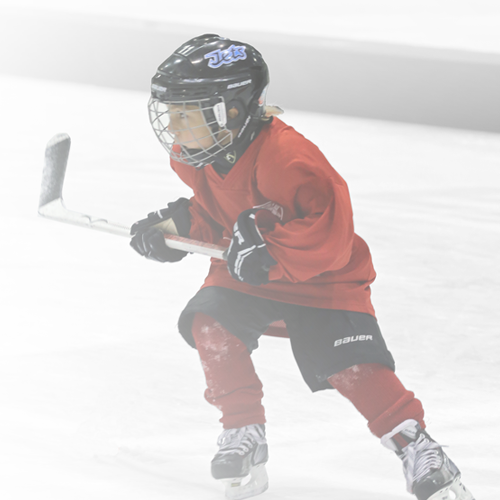 The current model incorporates core elements and concepts from both Hockey Canada’s Novice guidelines and Hockey Manitoba’s Novice guidelines from 2017 – 2018. The new half-ice format continues age appropriate modifications into the Novice Program with the Long Term Player Development model and philosophy as the fundamental basis for change. Players at the Novice level require a continued focus on physical literacy while also beginning to develop some of the more advanced individual skills inherent in the game. By moving from cross-ice at Initiation to half-ice at Novice, we increase the size of the ice surface in accordance with the increase in the size of player. This modified ice will continue to provide players with an environment that is more inclusive, competitive and conducive to skill development through puck touches and puck control, shots, passes completed, transitions, decision making, puck support, overall involvement…and FUN! In addition, with the creation of the new Development Zone, kids will have up to 40% more ice time during games! We believe these modifications will benefit every participant and we will support our players, coaches, officials and administrators with a well structured program. We ask everyone to approach this continued change with an open mind and support our direction in a positive manner to allow our players to learn the game in this exciting progressive direction. Hockey Manitoba has developed a comprehensive 2018 – 2019 Novice Half-Ice Guidelines document to assist our Minor Hockey Associations and Community Clubs in the preparation, implementation and execution of half-ice hockey in the Novice age category. This will ensure a consistent, organized delivery model across the province. Hockey Manitoba has created a Development Zone Seasonal Plan for all Novice coaches in Manitoba. The plan includes 20 games worth of skills/drills and small area/competitive games. Within each game, Hockey Manitoba has identified a specific core skill with progressions (1st period) and a small area/competitive game (2nd period) utilizing the skills obtained in the 1st period. The plans begin at a basic level to start the season and progress to more advanced skills/games as the season moves along. Coaches are encouraged to add there own progressions or modifications depending on the abilities and size of their teams. In addition, these plans can be utilized further in regular practices during the season. Note: Regions may decide to modify their Development Zone activities. The most important thing is that the Development Zone is being utilized throughout the season and age appropriate drills and/or small area, competitive games are included in their plans in accordance with Hockey Canada and Hockey Manitoba long term player development principles. Together, our goal is to keep kids active, having fun and developing skills. We encourage everyone to view the videos, documents and information below that provide additional support for the changes Hockey Manitoba has implemented into its Initiation and Novice programs. *Please note, although we have incorporated many of the core elements of Hockey Canada’s Novice Guidelines, Hockey Manitoba’s model includes a number of modifications to enhance development, engagement and delivery in a consistent manner across the province.